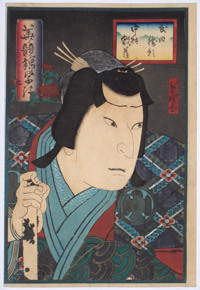 A large head oban print of the actor Nakamura Kanjaku II as Takeda Katsuyori (?) from a rare set: Zen (?) kurabe nishiki utsushie, ‘A Comparison of Virtuous Pictures.’ Published c1859. This is the first deluxe edition with extensive burnishing, gold and silver. The set was reissued without these embellishments. A large head oban print of the actor Sancho Daisho (?) 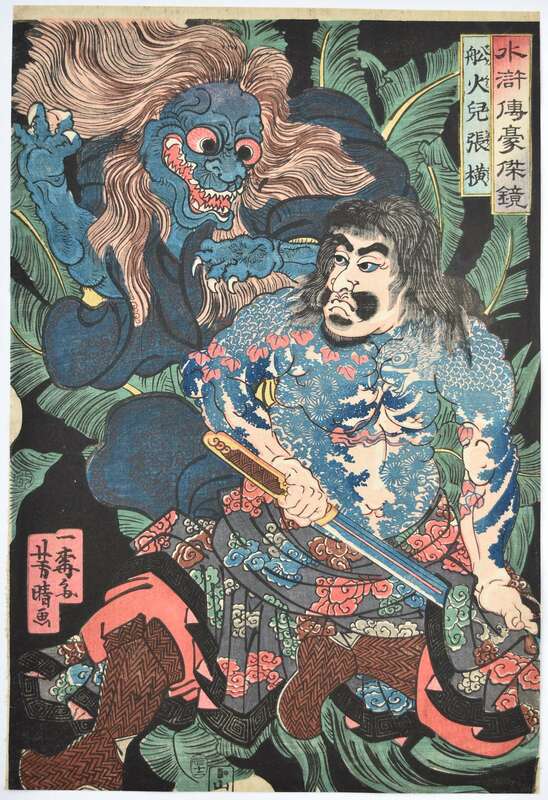 as the pirate Watonai ( Kokusenya, Coxinga ) from a rare set: Zen (?) 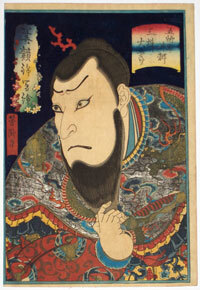 kurabe nishiki utsushie, ‘A Comparison of Virtuous Pictures.’ Published c1859. This is the first deluxe edition with extensive burnishing, gold and silver. The set was reissued without these embellishments.